It's the season finale! 'And the Echoes of Memory' follows on from when we last saw Eve, in an alternate reality where the Library never existed. But, that means there is no colour, no curiosity, no food worth eating, (fat and flour-ugh), no intellect, no knowledge. If we ever underestimated how much Nicole hated the Library, this terrible new world is a reminder not too. There are so many things to love about this episode; Eve's memory palace, Dean Devlin's superb direction, the alienness of this new world, the almost Tim Burtonesque absurd reality where everything is its own monotone and deprived environment, the 'Doctor Who' references! It doesn't take long before Eve finds the Librarians; Stone is selling cars, Cassandra is having trouble stapling as her mind is filled with beautiful puzzles and connections and Ezekiel is the most famous person in the world (it makes sense). And then there's Flynn! He was kidnapped by Nicole in the Library and since then, his memories have been 'reset' but he keeps remembering. Nicole is rather naive to think a few procedures would stop Flynn remembering the Library because he's collecting fragments, pieces of memory and drawing them together to create a picture. With Eve by his side, they remember the Library together in a beautifully shot scene with the camera spinning and both realities fading into one another (praise Dean Devlin). 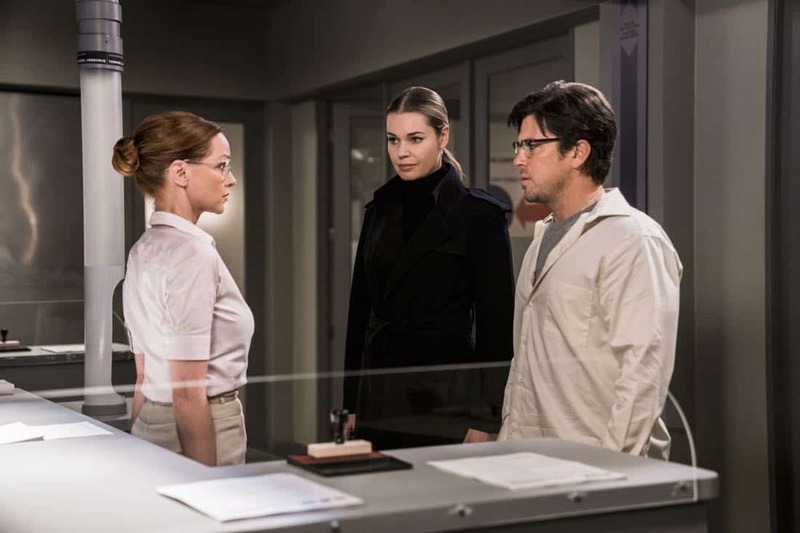 But, as their reunion is interrupted by Nicole, it's up to the Librarians to save them before the Library is wiped from their memories permanently. It's wonderful to see that the Librarians have an instinct, a feeling that they know each other without even really having to try. Maybe the universe knows these three will always know and recognise each other no matter what skin they are in. And as the team is reunited, their memories and a little sprinkle of magic bring the Library back to life. But, no Jenkins! Flynn has a plan for that. It's smart that Nicole is given a chance to redeem herself and live the life she ought to by becoming the guardian of the Library. In some ways, the Librarians are healers, as well as, thinkers and philosophers. So, with the help of a toaster, time is reset to the tethering ceremony we saw at the beginning of the series. 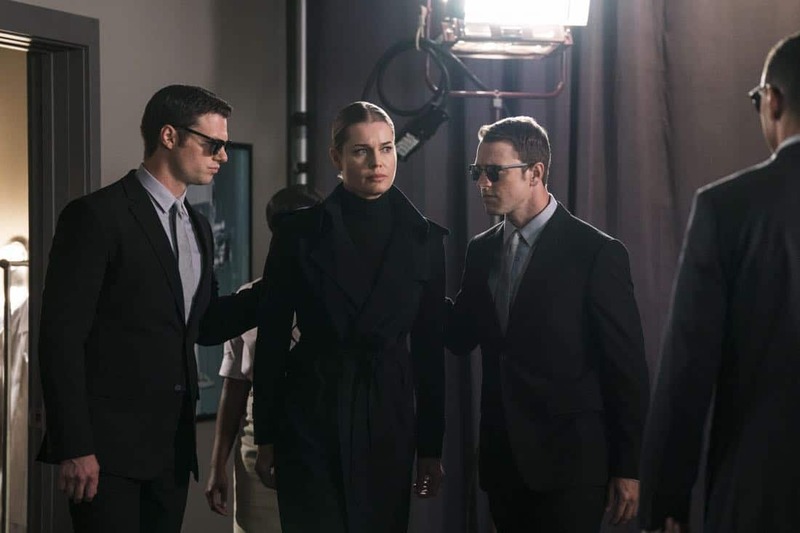 No-one remembers the alternate reality apart from Flynn and Eve, who finally tether. Hopefully, this ensures there is no more talk about, there can only be one Librarian, when clearly the Library has moved past that rule. Not to forget, Jenkins is alive! And he's immortal again. So, technically, none of it actually happened but it kind of did. I bet Eve hates alternate realities now too! The season finale is original, imaginative, smart, dynamic, funny and gives a hopeful and satisfying ending to the series as a whole. The only thing that can be said- let's hope there is a fifth season!